Brim House introduces relaxed yet refined dining to the Renaissance Hotel in the heart of Toledo. It offers beautiful views of the Maumee River through expansive windows. Talented chef Aaron Lawson oversees the kitchen, creating a seasonal menu of classic American cuisine with inventive twists. He partners with local farmers and producers to bring the freshest and best of Toledo to this dining experience. Aaron’s keen instinct for balancing flavor and texture, creating artistic presentations and incorporating international influences makes Brim House a destination for travelers as well as locals. Guests feel comfortable and at home at Brim House. The industrial-chic furnishings are upscale but casual, conducive to long, lingering meals or cocktails and local Midwestern brews at the lively bar. Dramatic glass designs from local artisans at Glass City are a unique element that sets Brim House apart. Brim House is dedicated to strengthening the Toledo community, offering a space for social and business interactions where local ingredients, locally produced beverages and local artists are in the forefront. A classically French trained Chef, Aaron Lawson brings a deep rooted sensibility in his approach to cooking. With a background and love for preserving, canning and curing, Lawson is inspired by his geography and what is naturally available. 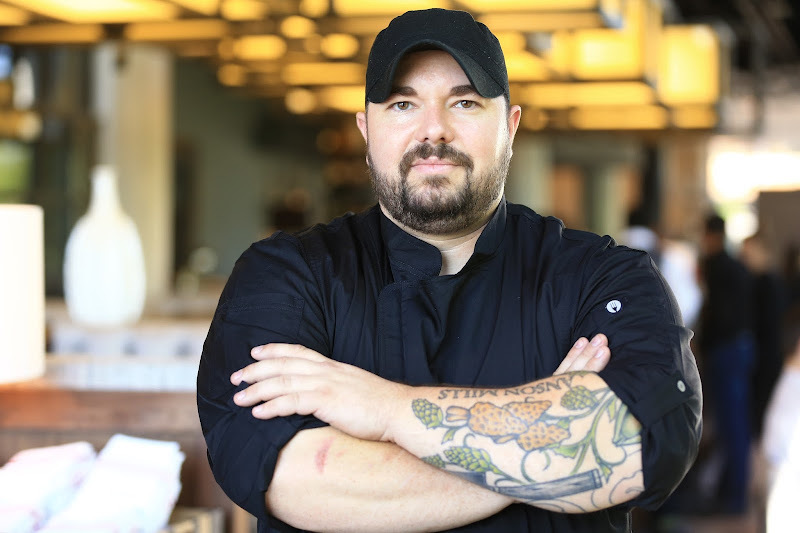 Lawson brings a varied hospitality background to Brim House ranging from the Hollywood Casino Toledo where he created a Forbes four-star program to the Crowne Plaza Hotel Toledo where he was the acclaimed Executive Chef. Lawson is best known for his own style of southern inspired fare focusing on ingredients from local farms and butcheries.